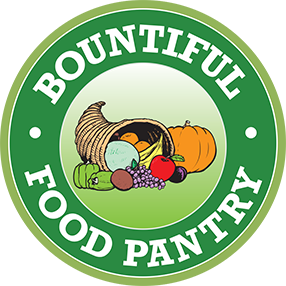 We will be partnering with the Bountiful Food Pantry again this year. The Pantry collects pet food as well as people food. Donating pet food allows pets to stay with their families. We will have collection barrels at ticketing. Everyone is welcome to donate, people who purchase tickets at the door and donate will receive a $2 ticket discount. Only one discount per ticket regardless of type, but don't let that deter you from bringing multiple items! If you have online tickets you can still donate and be entered into our "thank you" drawing. Every ticket holder receives a ticket whether donating or not. People who donate a food item receive an additional 2 tickets. Patrons bringing a Breakfast Bag receive 4 additional tickets. Limit of 4 food items for extra tickets, but you are welcome to bring more food items if you would like to. You do not have to be present to win a prize, all we need is your email address on the ticket so we can contact you after the Faire (we do not do promotional email lists). You can make Christmas morning a little brighter for those in need by assembling Christmas Breakfast Bags and bringing them for drop off at the Faire. Package the items in a reusable shopping bag with a tie or festive ribbon. Note: Please put large boxes of mix with large syrup. The Christmas Breakfast Bags are on the Bountiful Food Pantry Site. By assembling and bringing one of these bags you will help make Christmas Morning a happy one for a family in need. As noted on their list the only required items are the hot drinks mix, any size of pancake/waffle mix and any size syrup. They do ask that you provide a large syrup for a large pancake mix. There are many other items that the Pantry needs, including pet food, cereal, canned fruit, soup, toilet paper, and diapers (size 3-6).